An update about CPRO’s events and other activities along Columbia Pike, Arlington’s newest and oldest Main Street. 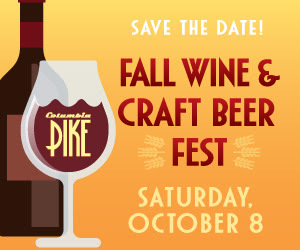 Sample Columbia Pike’s UNIQUE wines and RARE craft beers at this 2nd annual FAMILY-FRIENDLY, ticketed event! Also enjoy a taste of Pike restaurant fare! The Sports Junkies LIVE from Columbia Pike! Sunday, September 18 • 10:00 a.m.
Sunday, September 25 • 10:00 a.m.
Sunday, October 1 • 10:00 a.m.
Ready for some football? William Jeffrey’s Tavern (WJT) is! 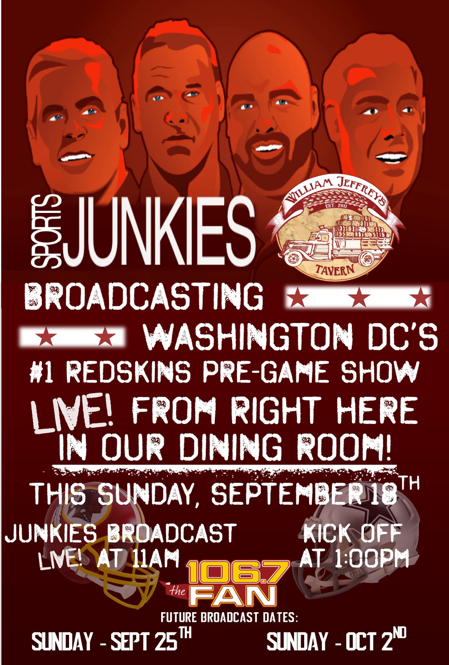 The Sports Junkies are broadcasting their #1 Redskins Pregame Show LIVE from WJT for the next three Sundays! WJT’s “NFL Sunday Brunch” will feature a Bottomless Omelette & Waffle Bar, a DIY Bloody Mary Bar and much more. Doors open at 10:00 a.m. The Sports Junkies broadcast begins at 11:00 a.m. Kickoff is at 1:00 p.m.
WJT also will be showing all other NFL games at 4:00 p.m., 4:25 p.m. and 8:30 p.m.
Come enjoy a libation and irreverent sports commentary – LIVE FROM THE PIKE! 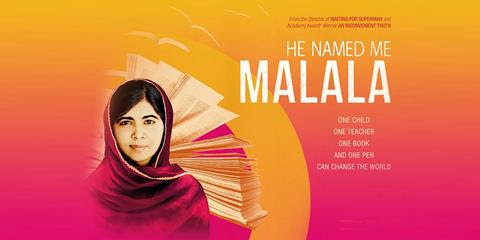 Thursday, September 15 • 7:30 p.m.
"He Named Me Malala" is sponsored byNaked Juice and Capital Bikeshare Fiesta. 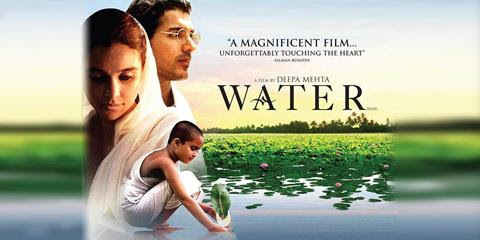 Saturday, September 17 • 7:30 p.m.
"Water" is sponsored by Orr Partners andMMA & SPORTS REHAB Physical Therapy Clinic. 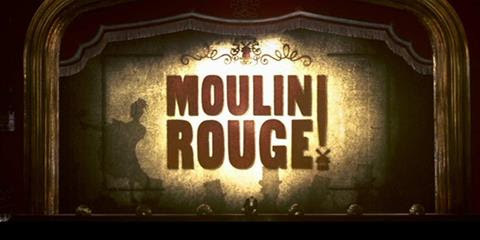 Friday, September 23 • 7:30 p.m.
CPRO's Movie Nights program is underwritten by the Washington Forrest Foundation, B.M. Smith and the Penrose Square Association. Call the CPRO office for sponsorship opportunities. 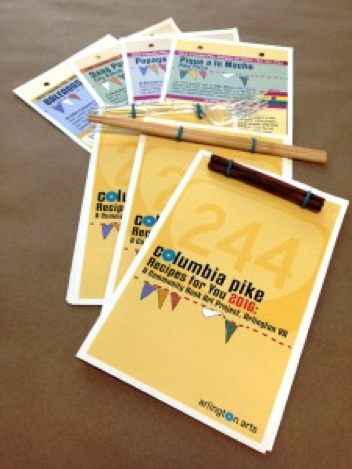 Celebrate on Columbia Pike with concerts and cooking class! Saturday, September 17 • 11:00 a.m. – 12:30 p.m. Celebrate Hispanic Heritage Month by learning how to prepare quesadillas and fajitas. Samples provided by Cantina Mexicana Restaurant. Space is limited andregistration is required. Friday, September 23 • 6:00 p.m. Featuring music from Cuba, Puerto Rico and the Dominican Republic, with special guest artist SSG Juan Quinones of the West Point Band. Free and open to the public. Sunday, September 18 • 10:00 a.m. – 1:00 p.m. Recipes for You is coming to the Columbia Pike Farmers Market! Make your own cookbook from 12 pages about Columbia Pike’s diverse restauranteurs: a cherished recipe on one side, the personal journey of the owners and chefs on the reverse. A SNAP Tour of the Market will also be held on the 18th. Come learn about the Supplemental Nutrition Assistance Program! Smith Meadows Farm is now taking orders for Thanksgiving turkeys. Reserve yoursbefore they sell out! Finally, remember that September is AFAC’s Hunger Action Month. Find out how to help! Tuesday, September 20 • 7:00 p.m. – 8:30 p.m.
Join Katie Cristol, Rev. Leonard Hamlin and the event sponsors to learn about Funshine, plans to revitalize the community center and how you can get involved. To help the cause, make a tax deductible donation. RSVP if you plan on attending. Support Randolph Elementary School at the Columbia Pike Farmers Market! Sunday, September 25 • 9:00 a.m. – 1:00 p.m. Located on Quincy Street in the Douglas Park community, Randolph Elementary School is an APS neighborhood school that serves an extraordinarily diverse population of nearly 500 students. Many Randolph students are from countries around the globe and are English language learners; many others are from low-income families. On Sunday, September 25th, the Randolph PTA will have a booth at the Columbia Pike Farmers Market. The PTA works hard to raise funds to support literacy, arts and sports activities for the children. They invite Pike residents to link their Harris Teeter, Giant and Amazon accounts to help direct funds from those companies’ fundraising programs to help support the school. • Sign up at 4:30 p.m.
• Music at 5:00 p.m.
• Featured Artists at 6:00 p.m.
Free Parking in the Giant parking garage. Ask your server for validation. Now Leasing Studio, 1- and 2- Bedroom Floorplans! Onsite retail: Chipotle, Sugar Shack Donuts, 1000 Degrees Pizza, Super Cuts,Cycle Bar, and more! Check out Pike 3400 Apartments or call for an appointment. 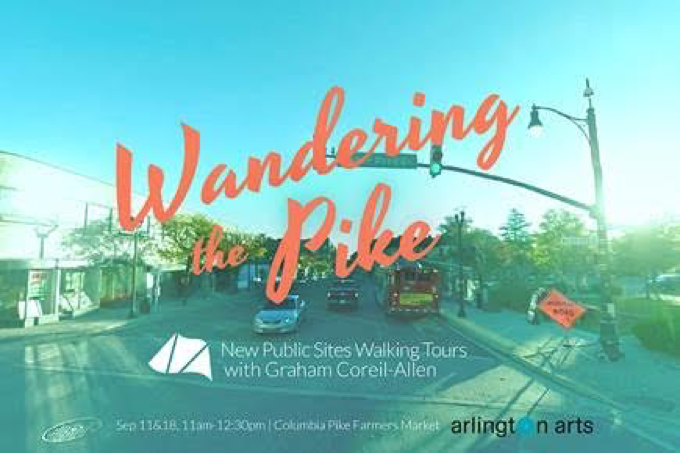 Sunday, September 18 • 11:00 a.m. – 12:30 p.m.
All visionaries are invited to go “Wandering the Pike” with public artist Graham Coreil-Allen. 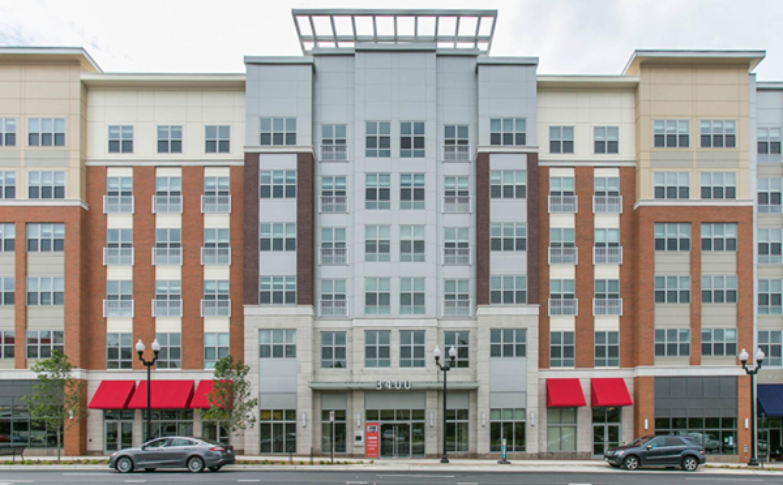 Explore and re-imagine the urban and suburban space of Columbia Pike with this alternative walking tour. 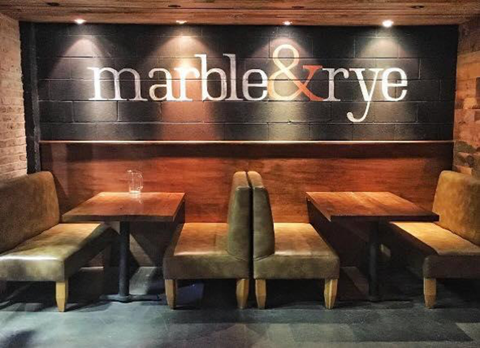 Reservations are not required but encouraged. RSVP to Paul Shortt at: pshortt@arlingtonva.us. City planners from across the state will be right on Columbia Pike at the Virginia Statewide Neighborhood (VSNC) Conference September 30th – October 1st at the Pentagon City Sheraton. Attendees can take a mobile tour of the Pike and Crystal City area, with CPRO president John Snyder taking the honors as tour guide for the Columbia Pike leg of the trip. September 12–16 are the County’s Street Sweeping days, from 7:30 a.m. – 3:00 p.m. Check the neighborhoodschedule for more information. September 19–23 is Try Transit Week. Discover new alternatives to your commute – how to get around while saving time, money and energy. Sign Up for Arlington Alert, now featuring Zika updates. Be sure to "Like" the CPRO Facebook page to keep us in your newsfeed and stay up to date on all the activities on Columbia Pike.